In this episode, I had the pleasure of speaking with Dr. Elizabeth Schechter, who is an Assistant Professor of Philosophy and Philosophy-Neuroscience-Psychology in the Department of Philosophy and in the Philosophy-Neuroscience-Psychology Program at the Washington University in St. Louis. 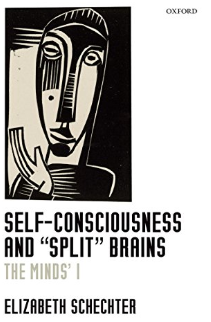 Her work centers on questions of psychological unity, with a focus on split-brain, which you can find in her book, Self-Consciousness and “Split” Brains: The Minds’ I. We had a great conversation and covered consciousness, split-brains and the mind-body problem, and more. Please enjoy this episode with Dr. Elizabeth Schechter. What is Psychological unity? Unity of Consciousness? Let’s get a baseline to work from here. How do you define consciousness? What IS consciousness? Mind v. Person. What is the relationship of a person to their mind/brain? Please give us a little background on what ‘split brain’ is. How does this play into your views on ‘unity’ of consciousness and psychology? Perspectives versus Agents versus Thinkers? What are the differences there, and how do those differences play into understanding consciousness? How does that play into all of this? I’m curious about the implications of split brain and mind-brain duality. What, if any, observations have been made with split-brain patients that might shed light on that and the binding problem? Is the single ‘mind’ still bound to both sides of a split brain? “I think, therefore I am” and other tests of individuality and consciousness? Have those been done, experimentally? The mirror test (animals) on a split brain subject? We can cut the connection (corpus callosum) between the two hemispheres. Can we introduce a third (artificial) ‘hemisphere’? What is a consciousness versus a person: conjoined twins, DID, split brain? In the field of consciousness (or other areas), what studies or potential breakthroughs excite you?